Mexico’s capital and largest city, Mexico City, holds the country’s biggest airport, Benito Juárez International Airport. Expect prices of $60 per day for the budget traveler, though more popular travel destinations like Cancun can easily cost twice that. While temperatures in Mexico can be as low as 5˚C (40ºF) and get up to the high 30s (90-100˚F), for most of the year temperatures near 27˚C (80ºF) are common. 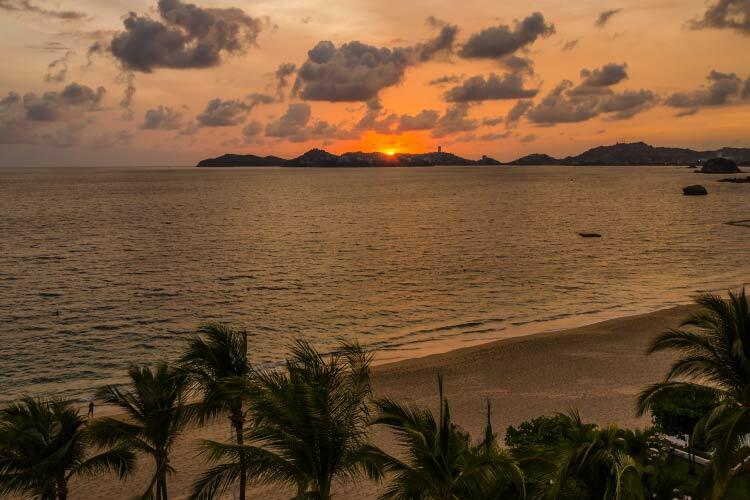 Most of Mexico operates with tropical seasonality, meaning the weather fluctuates between wet and dry seasons throughout the year without dramatically changing temperatures. 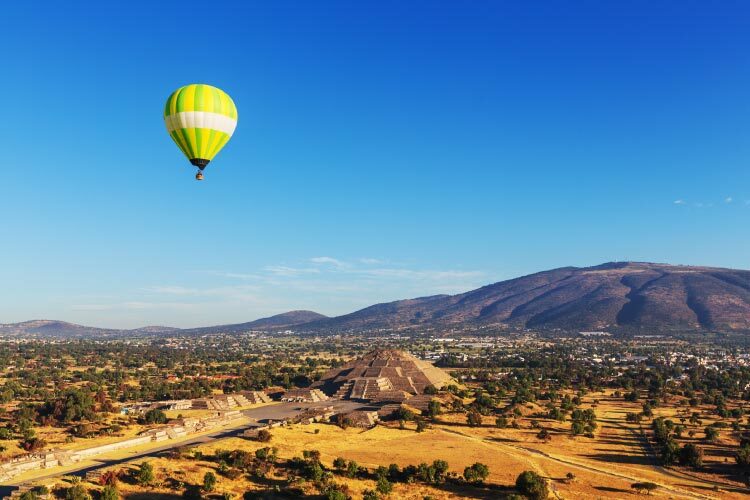 Traditionally, Mexico’s peak tourist season occurs between Christmas and Easter, though many travelers also come during July and August. Handmade crafts from street vendors, soccer themed items, and anything related to Dia de los Muertos are the typical Mexican souvenirs. Mexico’s location immediately south of the United States of America and north of Guatemala makes it an important central point between the Caribbean, Latin America, and North America. In terms of land size, Mexico is the world’s thirteenth largest country, and the country holds three distinct biomes. Most of the northern part of the country is occupied by desert, though northern-central Mexico is considered a chaparral biome (also referred to as scrubland). Contrastingly, rainforest covers the southern third of Mexico. Many cruise lines and travel itineraries bring visitors exclusively to lush southern Mexico, especially near Cancun. While this area is quite lovely, it has become extremely touristy, and travelers looking for something a bit more authentic are encouraged to investigate the northern part of the country. The country’s history is just as complex as it is fascinating. Prior to the arrival of Europeans, several major indigenous civilizations flourished. The Mayan, Aztec, and Olmec civilizations all held Mexico at one point or another, and many of their most famous buildings still stand in ruin today. In fact, archaeological tourism centred around exploring Mayan and Aztec ruins is one of the most lucrative tourist niches in the country. These civilizations are credited with discovering numerous astronomical, mathematical, and economic advancements long before the Old World discovered them. Unfortunately, disease and warfare brought by the Spanish during the early 1500s utterly decimated the indigenous peoples, and from 1519 through 1820 Spain held colonial rule over Mexico. During this period, Mexico developed the distinct culture and architectural style it’s known for today. However, the country earned its independence in 1821 after nearly a decade of fighting. At this point in time, Mexico’s territory extended much further north than today; the Mexican-American war would see the United States take much of Mexico’s territory for itself during the 1840’s. For most of the 20th century, a single party system controlled Mexico, which would come to an end when the country’s economy collapsed in 1994. With the help of the US, the country elected a new government in 2000, and Mexico has recovered remarkably quickly since. Most travelers pass through Mexico City at some point, as the city is North America’s largest in terms of population, making it larger than both New York City and Los Angeles. 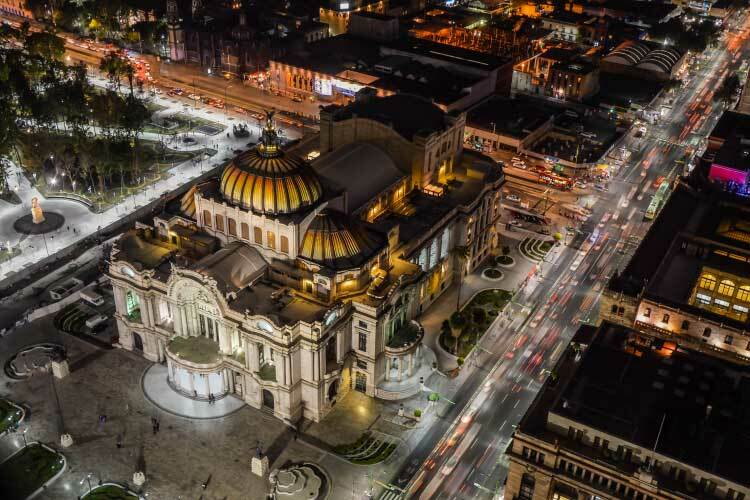 Mexico City’s size is its key feature; everything from its art scene to nightlife to historical sites are quite large. Like most major cities, Mexico City is broken up into several districts. Centro Historico is the old portion of the city and contain numerous famous sites, centred around the Zócalo, a massive city square. Visitors are also encouraged to visit Coyoacán. This former colonial town is today considered the home of Mexico City’s artists, countercultural movements, and modern culture. The array of bars, cafes, art galleries and a handful of pleasant museums make any trip through Coyoacán enjoyable. Often considered the vacation capital of Mexico, Cancun is an extremely touristy coastal town filled to the brim with all-inclusive resorts, vibrant nightlife and spring breakers. While Cancun is definitely not for travelers looking for something off the beaten path or indicative of authentic Mexican culture, for the rest of us, the city can be quite a lot of fun. When not relaxing on the beaches, we recommend taking to the seas for some fishing or scuba diving. Nearby Isla Contoy is also worth a visit; this island is not only extremely beautiful, but also an important rest stop for migratory birds. 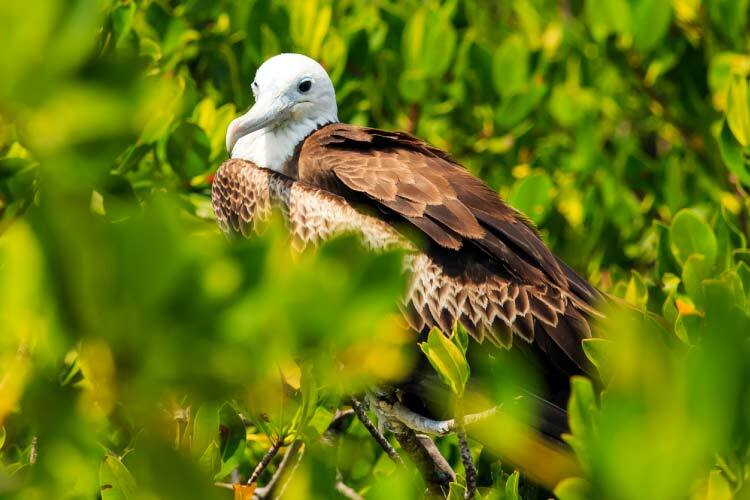 Each year, hundreds of tourists flock to the island for a chance to glimpse rare birds that only pass through the region for a day or two. 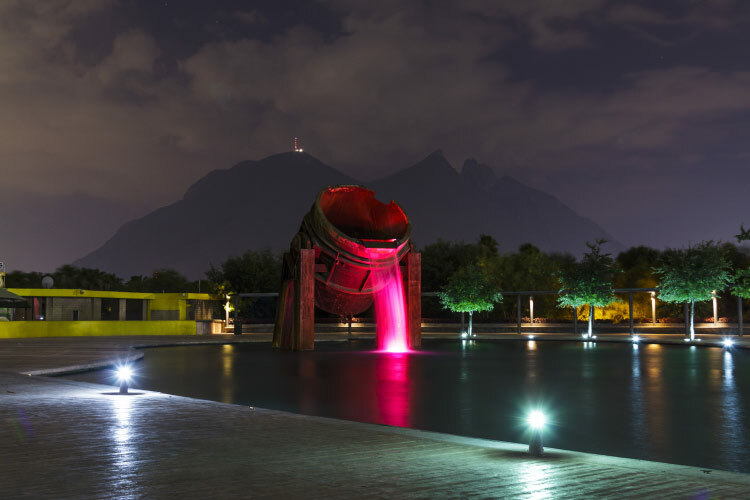 Located in northern Mexico, Monterrey is one of the most charming cities in Mexico and one we highly recommend travelers exploring. The town is considered an economic and industrial stronghold of Mexico, and sits next to the famous mountain Cerro de la Silla. The city also adjacent to La Huasteca, a gorgeous canyon system perfect for rock climbers and hikers. Monterrey also features some fascinating cultural sites, including Lucha Libre wrestling and bull fights. The city is also quite fond of soccer, and catching a match is a must-do while in Monterrey. 1. Spend time wandering down Tijuana’s Revolucion Avenue, its main tourist venue. The street will be lined with vendors, bars, and historical attractions. Close to Revolucion Avenue sits one of Tijuana’s better parks, Parque Guerrero, which often attracts street performers. If you’re up for it, Tijuana has some of the world’s craziest nightclubs. 2. While in Chihuahua, be sure to visit the home of Pancho Villa, the Mexican revolutionary hero. Head to Chihuahua’s city centre for more opportunities to see classic Mexican architecture. Then, check out Grutas de Nombre de Dios, an intricate cave system nearby the city with an impressive array of rock formations. 3. There’s no better way to begin a day than with a brisk hike through the canyons of La Huasteca outside of Monterrey. After all that exercise, you’ll probably want to fuel up with a meal at one of Monterrey’s delicious restaurants. If you can stomach it, Monterrey is also famous for its bull fights, which occur on a regular basis. 4. 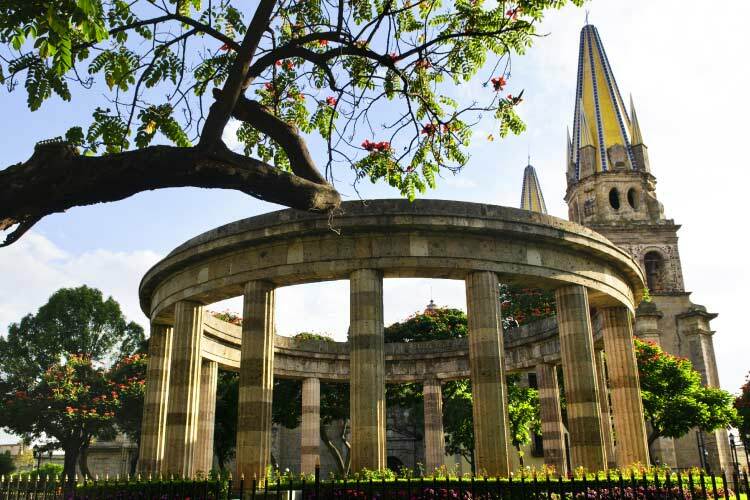 The Guadalajara Cathedral exemplifies the colonial structures found throughout Guadalajara, especially near its city centre. The city is also known for its fantastic shopping and nightlife district, Zapopan. If you’re up for it, there’s a fantastic night tour through El Panteon de Belen, a 300 year cemetery and museum. 5. Take some time to explore Centro Historico, Mexico City’s oldest district. It holds numerous historical oddities and countless of examples of great architecture. To get a feel for the modern state of Mexican culture, head to Coyoacá This district contains Mexico City’s artisans, political ideologists, and musicians. 6. Be sure to see the famous cliff divers of Acapulco, whom dive off the cliff La Quebrada. Furthermore, take a water taxi over to Isla de las Roqueta and relax on the gorgeous beaches. Nearby the beach sits CICI, a water park with a number of rides that offers the chance to swim with dolphins. 7. Scuba diving in Cancun can be quite a blast, though it’s also easy to spend time relaxing on its crystalline beaches. Often times, vendors with handmade crafts or food wander the beach looking for customers, and it can be quite entertaining to shop your way down the beach. At night, the bars of Cancun come alive, and adventurous travelers will undoubtedly enjoy drinking at some of the many local clubs outside of the hotel zone.